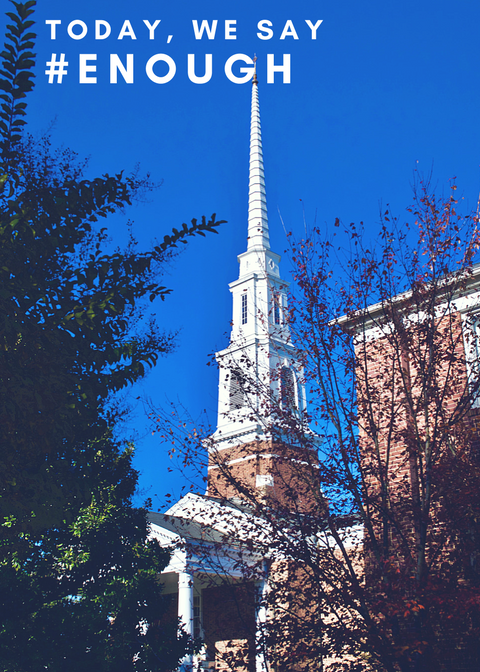 On Wednesday, March 14, at 10:00 a.m., our church bell will be rung 17 times, with a minute’s pause between each toll, in remembrance of those who were killed in the Parkland, Florida shooting on February 14 of this year. In so doing, we will join other churches and community leaders in responding to the prophetic witness of our youth, who are calling on elected representatives to address gun violence without further delay. Many of those youth will be engaged in simultaneous demonstrations at that hour.